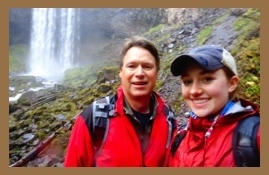 After several trials and tribulations with the adoption process (http://adventuredad.org/534/reflections/king-for-a-day/), we had just about resided ourselves to early retirement, travel and golf. Then, last August, while recovering from shoulder surgery, we received a call from the agency about a 7 year old girl. Just weeks later, we were meeting with her grandfather and talking about his desire for her to have a family who could nurture and raise her. 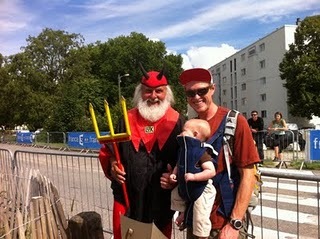 Having lost his wife years earlier, he tried his hardest to parent her but realized it wasn’t going to work out. After months of visits to Northern Colorado, little Lily moved in with us this past December. Things were rough at first as she was coming to grips with yet another loss and transition in her young life. Yet, we hung in there with lots of love, many fun adventures, security with her new parents, and loving siblings and a faithful dog. Most excitingly for me was watching Alex welcome her into his life as he came down from college on weekends and breaks. Many a fun adventure was had with Lily and her new brother. 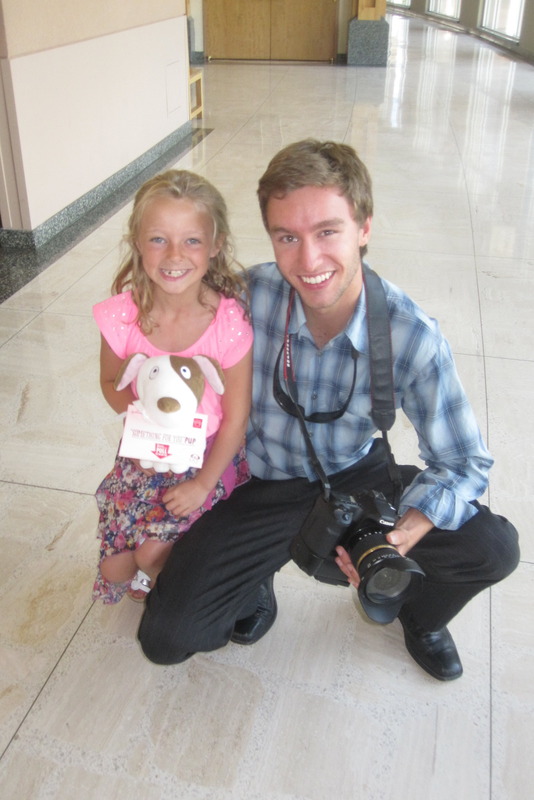 This past July, we are excited to report that Lily became a permanent member of our family. I will never forget looking back at her when the judge asked me if we would adopt her. She smiled at us both and then gave us a big thumbs-up! Lily continues to flower during this new school year. Surrounded by family and friends, she is thriving. We are looking forward to many a great adventure together and it’s been a whole new experience for me learning how to be the father of a girl. Believe me, if you have ever seen my golf game, you’d understand why this was the perfect choice for finding meaning and joy in this next phase of our lives! It was parent’s weekend for my freshmen year of college and my dad came all the way from Colorado to visit me in Oregon. Instead of engaging in the customary parent weekend activities at the college we ditched the crowd and went off on our own adventure, a hike in the Mt. 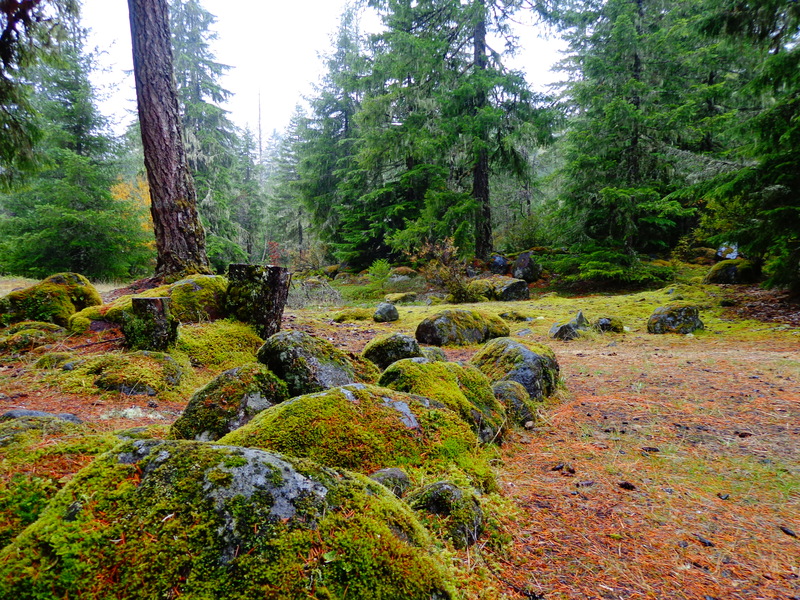 Hood National Forest. I had been deeply missing many things in Colorado including the Rocky Mountains and was in need of some time in nature. We set off on a hike near Mt. Hood and visited Tamanawas Falls. The view of the waterfall was spectacular and the trail winded through a lush forest with trees changing their color for fall. We also visited the historic Timberline Lodge and got to experience a Pacific Northwest blizzard! After not having seen my father for nearly two and a half months, I could not have imagined a better way of spending the weekend than on a scenic Saturday hike. We talked about college and my new adult life and the resulting trials and triumphs I had experienced over the past months. It had seemed that almost everything in my life had changed. Our hike in the Mt. Hood National Forest reminded me one thing that hadn’t changed: I am a Colorado girl who is in love with the truth and beauty of nature. I just needed my dad to remind me of that. Some of our earliest adventures involved driving up to the mountains for an afternoon of poking around old mining sites. For kids, there is nothing like 4-wheeling and then seeing old structures, finding giant pieces of mining equipment on the side of a mountain, and picking up all sorts of steel parts and gadgets. On one occasion, we came across an old miner’s tobacco pipe which was hand carved from a tree limb. In addition to the claims dotted throughout Colorado’s mountains, we’ve also enjoyed formal tours of gold and silver mines as well as mill sites (the building where the rock was crushed and processed). While there is a cost involved for these tours, it’s always been fun to descend into dark tunnels with the notion that you are being safe and not breaking any rules. When underground you get the chance to see how the miners worked: the tools they had, the conditions they dealt with, and the potential profits they could make. The established mining museums often reveal historic photos from the mining industry that shed light on a miner’s way of life. In the last several years, our attention has turned more to hiking and climbing. So, on last summer’s trip to Whistler, Canada, we were happily surprised to find the giant, and fully restored Britannia Mine. As we learned in the new visitor’s center, Britannia was the largest cooper producing mines in the British Commonwealth by the late 1920’s. Some 60,000 workers pulled out 650,000 tons of copper between 1904 and 1974. The tour into the mine was impressive as they demonstrated how the tools worked (the famous widow maker drill was our favorite) and what the average day was like for the miner. You really can’t imagine what dark is until you are down in the mine so learning about the advances in underground lighting tools was extremely meaningful. Also impressive were the number of buildings housing the core samples from years and years of exploration. Imagine giant straws of rock stacked next to each other and housed in sheds for assaying. For younger children, the Britannia mine’s visitor center offered a gold panning area with water chutes allowing the kids to manipulate and play with. This was one of the most all-around comprehensive mine tours we’ve taken. The tour guides at Britannia eloquently presented memorable tidbits of history while maintaining a rustic attitude and operating machinery of the times. What’s more, the old Mill and mine shafts are used in numerous mystery movies and TV shows. We got to see a film crew preparing for a shoot while we were there. The Britannia museum has done a great job reviving mining history and the trip was a great revival of one of our old pastimes. To learn more about the Britannia mine and tours, visit their website at britanniaminemuseum.ca. It sounds like you and I have had similar experiences when it comes to sharing our passion with our children. Every year since my daughter was born, I took her up to Montana to visit my family. 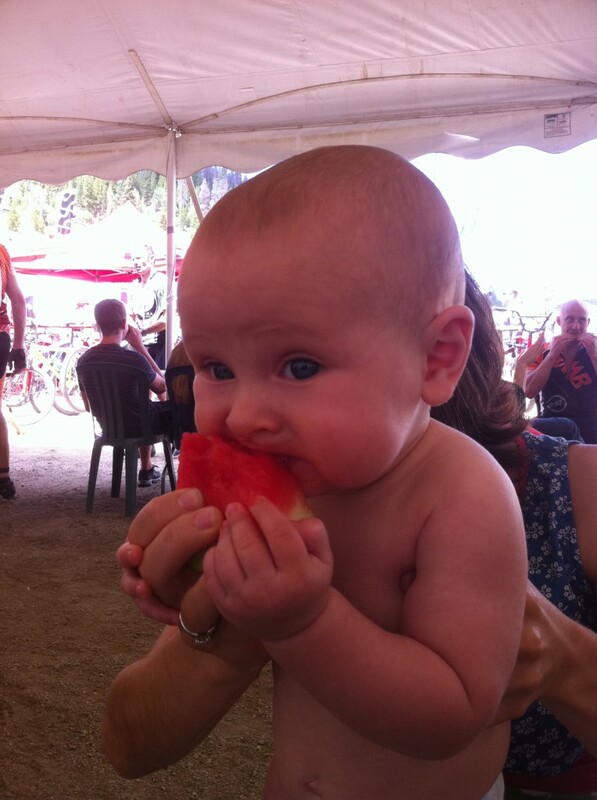 Shortly after she turned one, we took a slight detour into Idaho for a biking adventure. We met my dad, who was in his late sixties at the time, and rode the Route of the Hiawatha bike trail. Of course my daughter was in a bike trailer for the trip, but I was worried that she would get scared when we biked through the long tunnels. As it turns out, she absolutely loved the tunnels and would start crying when we came out into the sunlight. We had so much fun on the Idaho trip, that I started looking around for similar trails. I was told that there were a whole series of these things called rail-trails around the country. But back in the 1990s, I had a heck of a time finding information about family biking trails. The internet was starting to fill up with information about wild-and-crazy mountain biking trails and bike races and road rides. But I had a tough time finding good, long family trails. If the rumors were true, they were out there, but it was difficult finding information about them. So I started collecting snippets of trail information from newspapers and magazines. Friends and family members sent me information in care packages and emails. Pretty soon I had a stack of folders filled with trail information, so I decided to start a website. It was my network of trails on the internet, and I called it Trailsnet.com. 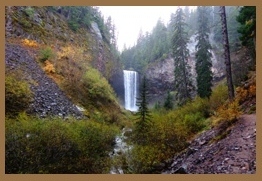 Since then, I have traveled all over the country riding trails and sharing them on Trailsnet.com. Sometimes I was able to take my daughter with me, and other times I scouted the trails on my own. But I was always on the lookout for trails that could be ridden by Dads, Moms, kids, and grandparents. 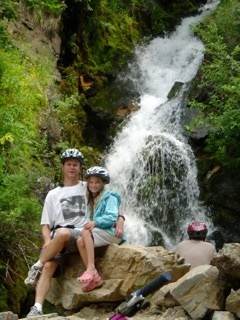 At the time, I was a teacher and sponsor of a middle school mountain bike club in Boulder, CO, so I would throw in the occasional mountain bike trail, but most of my trails were focused on family fun and accessibility. Nowadays, I continue to add trails to Trailsnet.com, but I’ve opened it up so others can add trails, too. Even though the family focus is still important to me, I love it when people add any kind of trail. I’ve even started catering to trails for those folks who enjoy navigating personal transportation vehicles such as recumbents, Trikkes, Elliptigos, inline skates, etc. 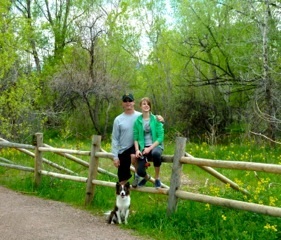 There is no longer a lack of trail websites out there, but Trailsnet.com is the only one that started as a family-friendly trail site. While the other sites still seem to think the only types of bikers are mountain bikers and road bikers, Trailsnet realizes there are cruisers, electric cycles, hybrids, urban cycles, tandems, recumbents and more. And, in addition to hikers and backpackers, there are trail runners, snowshoers, cross-country skiers, and mobility- impaired trail users. So what started out as a dad/daughter/grandfather trip, turned into a lifelong passion. From the time when my daughter was an infant, we have enjoyed getting out on trails together. That was always our special dad and daughter time. I hope that other parents learn the joys of exploring trails with their children, as I did. 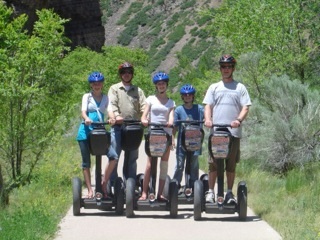 It’s healthy, it’s environmentally friendly, it’s a great time for bonding, but most of all, it’s a lot of fun. The original seed was planted by my Uncle Bernie over 30 years ago when I moved from Ohio to Colorado to work for him. I was intrigued when Bernie first mentioned that it is very possible to ski 12 months in a row here. While I knew that ski areas often opened in October, and might stay open until July, Bernie reminded me that one could hike and ski on St. Mary’s Glacier during the summer months, and thus complete the cycle of year-round snow sliding. Although I’d skied from Halloween to Memorial Day, I never actually took it to the next level…not until my son proposed THE QUEST. My son Jordy (age 12) has become quite a skier, sharing my passion and joining me on many of my favorite runs, including some that I’ve already chronicled here at AdventureDad.org. And he must’ve heard me mention Uncle Bernie’s notion of a year-round ski season, because one day last spring Jordy said to me “Dad we need to do that, we need to ski 12 months in a row!” Twist my arm was the first thought I had, and I soon began to consider what it would take for us to successfully complete this quest. As I noted in a couple of earlier postings, our ski season began with some amazing early snow in November and December, along with a special Christmas Day slope-side picnic at Loveland Basin. The new year began with an artic cold day at Winter Park/Mary Jane, and then found us at Copper Mountain every weekend for Choppers (group ski lessons), plus some fun with friends at Vail. In February we ventured north to explore Steamboat Springs, where we also returned for a couple of days in March, after an awesome backcountry ski and hut adventure. And in April we celebrated the month that most major areas close by skiing back at Copper and Loveland. To keep our quest alive, Jordy and I made a point of sampling the spring and summer snow at Arapahoe Basin in May and June. While the terrain was limited at that point, the spirit of the snow riders was jovial, including those who dared to try pond skimming. While neither of us wanted to risk a dunk in the icy waters, we laughed aloud watching skiers and snowboarders attempt to stay dry going from snow- to water-skiing across a makeshift pond located in a flat area halfway down the mountain. A-Basin closed on July 4, and we were already on vacation on the west coast, but with some advance planning – I shipped my telemark boots and our helmets, gloves, and layers ahead – and the support of friends in Portland, Oregon, who loaned me some tele skis and gave us directions, Jordy and I ventured to Mt. Hood for some rare and wonderful turns at the famous Timberline Ski Area. What a kick to see racing and snowboard camps in full swing during mid-summer, and to mix with tourists staying at the massive timber and rock lodge built by Federal Works Progress Administration in 1937. And that’s where Maggie, the Adventure Mom of our family, awaited us after we checked off the July date of our quest. Back home to a blistering Colorado summer, where temperatures reached 90 degrees for more than 45 consecutive days, August found us without an actual lift-serviced ski area, and thus taking our quest to the next level. We ventured to St. Mary’s Glacier near Idaho Springs, Colorado, where a short hike to a year-round snowfield offered us the best way to keep our string of consecutive months on skis alive. Joined by our friends, Adventure Dad and Copper Mountain Ski Patroller Jamie, and his daughter Sasha (age 16), fresh off of a 30-day NOLS course, we enjoyed bluebird skies, and light winds on our hike past St. Mary’s Lake, and up the Glacier. 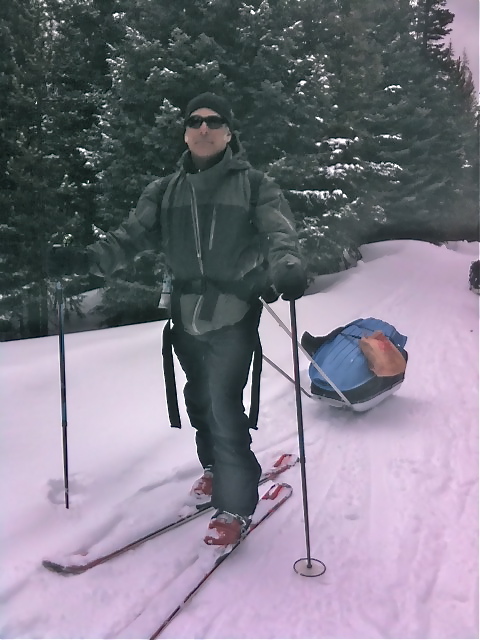 With skis lashed to our packs, and our ski boots packed inside, our load and the slick surface made for slow going. At a level area near the névé (top) of the glacier, we pulled over to the edge, put on our ski boots, and carefully made our turns down the crusty brownish snow that was cut with strange, undulating ridges for most of the way down. Not the prettiest skiing we’d done all season, but each of whooped with the joy of midsummer’s day fun at a typically winter time activity. 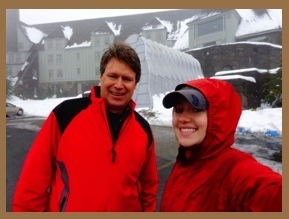 Jamie, Jordy, and I repeated our sojourn to St. Mary’s again in September and hoped that a Colorado ski area would open the next month and permit us to come full-circle and complete our quest. When October commenced with unseasonably warm temperatures, I became just a little worried, but soon learned that cold nights at altitude were permitting snowmaking at two front-range ski areas. Arapahoe Basin was the first to open for skiers on Thursday, October 13, with Loveland following the next day. And just one day later, Jordy and I were aboard Chairlift #1 for a few quick runs on “Mambo,” our quest complete, having skied 12 months in a row. Our friends Jamie and Sasha are now aiming for the same goal, and Jordy and I plan to join them, wondering how many more consecutive ski months we might be able to tally. It’s Never Too Early to Hit the Trails and Explore Europe! As a professional mountain biker and adventure racer, I look forward to the days when I can spend time engaging in serious athletic activities with my son, Wyatt. I realized this summer, however, that it’s never too early to begin the adventure! Wyatt has stamps from five countries (Germany, France, Italy, Austria, and Switzerland) in his passport, and it was a joy to be able to share our love of traveling with him. He also has two ”grandmothers” in France and one in Italy, who have all sung him songs, played games with him, and provided some extra love along the way. 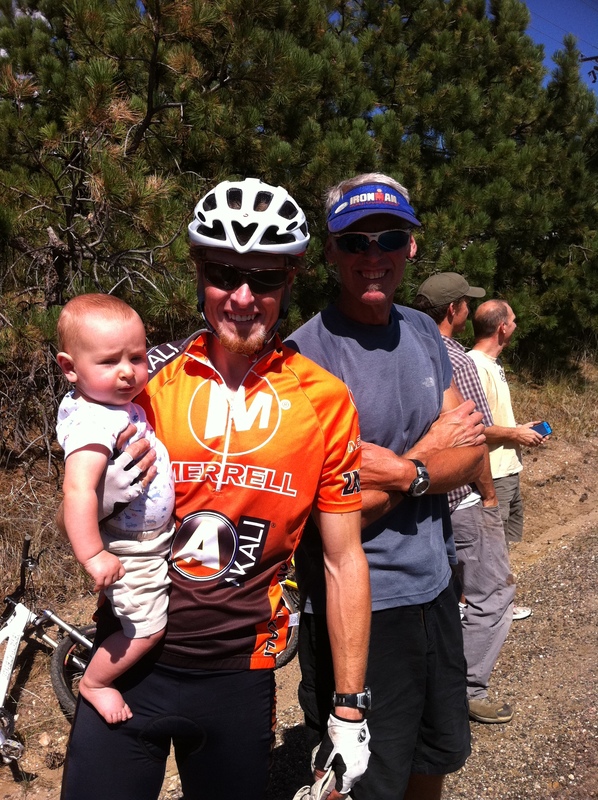 When we returned home, Wyatt attended his first Leadville 100 event, once again as a member of the support crew while I rode in the race. I began crewing at the Leadville 100 run when my dad raced it for the first time when I was six, and we have been treating these races a family get-togethers since then. 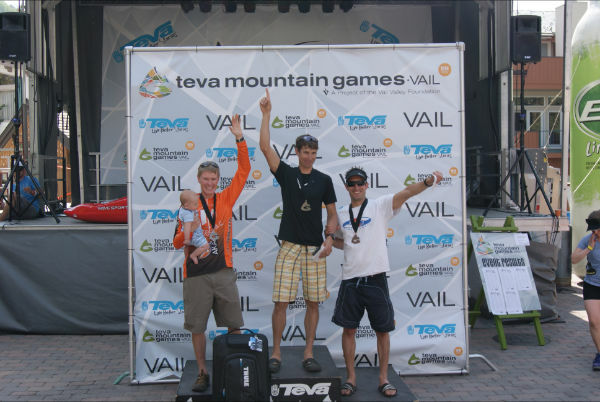 This was our first three-generation Leadville event, and I hope it is the first of many! 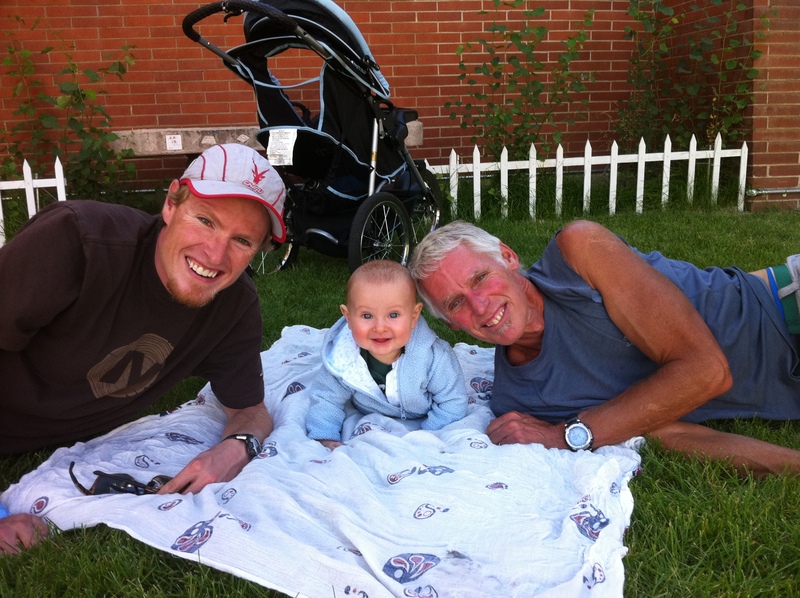 Wyatt, Grandpa, and Dad hung out after the Leadville 100 MTB race. Wyatt was still fresh, but dad was a bit dusty! The following snapshots describe the summer highlights of my summer with Wyatt. Wyatt and I look forward to a lifetime of adventurous memories together. He’s definitely got the spirit, the attitude, and the flexibility, and I think we’re in for some good times! I had planned a weekend away for us all… a weekend of adventure (rappelling and fishing)… a weekend of masculinity bestowing masculinity. 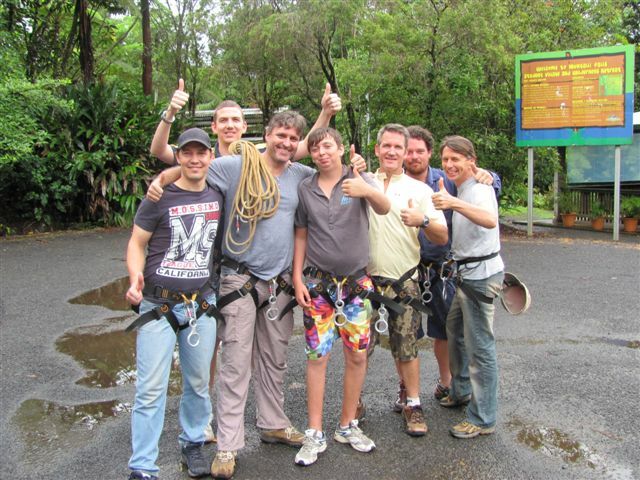 When it came time to suit up our harnesses for our rappelling adventure… it was evident that Isaac was nervous. To say that he’s not fond of heights is an understatement. But he wanted to go over the edge and down the cliff nonetheless. And so he began. He pushed through his fears, and went over the edge… maybe 1 to 2 metres down the vertical rock-face, before telling our guides he wanted to climb back up to the top, and not continue downward. Even though he had navigated through the scariest part of any rappelling experience (going over the edge), I knew as his father, I was needed at that moment, to speak against all of the waves of accusation that would come against him. And that’s exactly what was going on within him. He was ashamed that he had not completed the adventure. He wept openly, and referred to himself as a failure. That’s when I spoke truth into him… that he was not a failure… that despite his fear of heights, he went over the edge. After I had helped him to calm down, I asked him if he’d like me to buy him a Coke. He said that he didn’t deserve it, and so in I went again… to play my part as his Dad… to rescue him, to guard his heart, to speak against the lies with truth. It was beautiful. I wonder how things would have been had I not been there to interpret what he thought was failing? The adventure started in 1989. I was six years old, and my dad and I raced up and down the washboard dirt roads of Evergreen on our bikes. I was Greg LeMond, and he was Bernard Hinault. The stakes were high as we saught victory in the Tour de France, and I always seemed to edge him out at the line even though he was a formidable ultra-endurance athlete. Over the next twenty years, I watched in awe as my dad completed the Leadville 100, Badwater 146 Ultra Marathon, and Eco Challenge Adventure Races all over the world, among other events. When I began competing in adventure races in 2003, Dad was right by my side. Always my number one fan, he has helped me numerous times as a member of the support crew, and we have raced together in races involving snowshoeing, running, mountain biking, paddling, and a number of other sports. 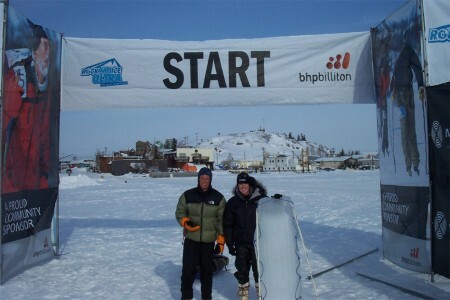 In 2009, we traveled together to the Rock and Ice Ultra, a 200+ mile self-supported running/snowshoeing stage race in the Canada’s Northwest Territories. Hanging out in the warm tent with my dad while the northern lights shined outside was one of the highlights of my life. I’m looking forward to becoming a dad in January, and I can’t wait for three generations of Macy’s to hit the trails together! Good morning my son. I will say good morning to you many times for the rest of your life but now you are not quite able to understand it. You are just months in the womb and I hope that as I talk to you each day, my mouth against your mother’s stomach, that you will recognize my voice when you finally enter this world. I am starting my journal to you for several reasons. I need a space to reflect upon what it means to be a father, a place to ponder your creation and all of the emotional experiences that I will be going through. Hopefully, by understanding the experiences better, I will be more enlightened about what it means to be a father. I am also writing this so that one day I can share it with you as a memoir of your earliest days. I hope that my reflections will give you a greater sense of your roots and remind you of how much you are loved as you become a man someday. One of my favorite philosophers is Soren Keirkegard who said: “Life must be lived forward, but understood backwards.” If you understand where you come from, I believe you will be centered and strengthened for your own journey in life.